We’ve been hearing a lot of rumors surrounding the unannounced Samsung Galaxy S5 Prime - which may be officially announced in June. The latest rumor, coming from @evleaks, has it that the Korean version of the S5 Prime (the SM-G906) will be available in fie color versions: white, black, blue, gold and pink. These are also the colors of the regular Galaxy S5, if we count the exclusive pink variants announced in Japan. 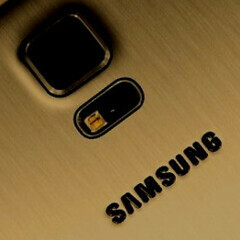 The Galaxy S5 Prime is supposed to be Samsung’s true flagship smartphone for this year, allegedly featuring a 5.2-inch Quad HD (1,440 x 2,560) display, a Qualcomm Snapdragon 805 processor, and a metal design. The S5 Prime - or whatever it’s going to be called in the end - will directly compete with the likes of LG G3 (which will be unveiled on May 27), HTC One M8 Prime, and Apple’s iPhone 6. The regular Galaxy S5 is currently available almost all over the world (in about 150 countries), and it will be interesting to see if Samsung is preparing such a wide release for the Galaxy S5 Prime, too. So, are you waiting for the Galaxy S5 Prime? OIS is the thing I think will make the biggest difference. I don't really mind if its Quad HD or Full HD. Also I guess battery life won't actualy be much better because of the display. That front camera could be nice for some though. I was just about to buy the S5. Whats a few more weeks to wait? You are probably looking at about 1 month because they don't release the phone right after the announcement. But I get your point :D It's better to wait and see if anything is even changed for the Prime. So, you will rip HTC after announcing the One Prime then? Why do you think people want all the time the new released flagship? You can use a flagship for at least 2 years. If you are not a specs, fashion or "look at what I own" guy. What makes you think the S5 is *NOT* a flagship? It had same specs as any other flagship phones launched this year. Does M8, XZ2, LG G Pro have better specs in anyway?? I wonder if the phone is gonna get any bigger or will they just reduce the bezels. Maybe. I would love to see some other changes too though. They should just discontinue the S5. Otherwise, this thing will be at least $100 more. Then, what is the price of the Note 4 going to be? So what will directly compete with the Note 4? Great! Look like Samsung is having a new launch every other month.